AMOSUP-run Maritime Academy of Asia and the Pacific (MAAP) will run and operate its second training ship that will be utilised by its growing midshipmen and is expected to further boost the quality of their training. 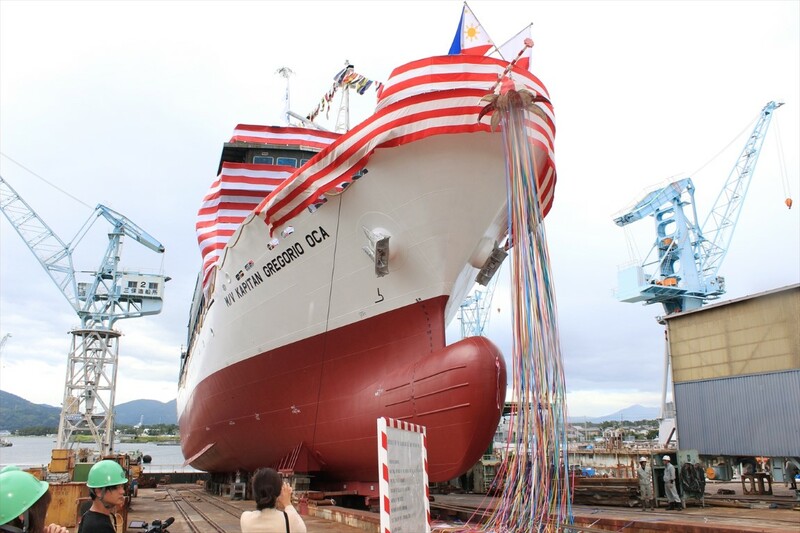 The new-building TS Kapitan Gregorio Oca, which was ordered by International Management Association of Japan (IMMAJ) from Miho Shipyard in Shimizu, Japan, can accommodate 108 midshipmen including six instructors for the shipboard training. The 78.69m training ship will be manned by 24 officers and crew when MAAP receives delivery of the ship on January 2019. Ordering the ship for MAAP is part of IMMAJ’s vision for the academy’s continued academic standing as one of the best maritime institutions in the shipping industry. The shipowners and shipmanagers group has been one of the leading employers of Filipino seafarers on board Japanese-controlled fleet with around 2,200 oceangoing ships. It is estimated that the group employs an average of more than 45,000 officers and crews, majority of these are Filipinos. The TS Kapitan Gregorio Oca will also complement the first class maritime simulators being utilised by an average of 170 cadets IMMAJ has sponsored to study and train at the academy each year. The Tokyo-based owners, along with their local agents Philippine-Japan Manning Consultative Council (PJMCC), has supported the academy as part of developing and maintaining ship officers for Japanese fleet. IMMAJ and Miho Shipyard hosted the naming and launching ceremonies of the new training ship last 08 and 09 August respectively. IMMAJ chair Capt Koichi Akamine and AMOSUP president Dr Conrado Oca led a Japanese traditional tossing of celebratory rice cakes during the naming ceremony at the shipyard in Shimizu. 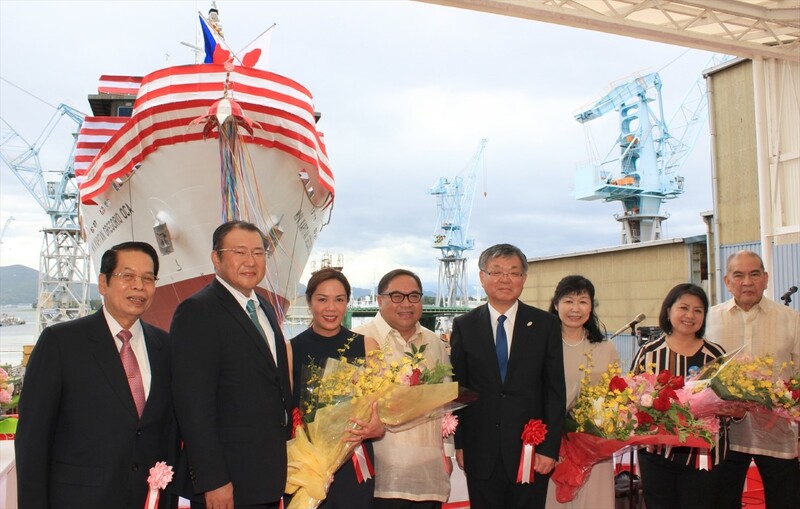 After tossing of rice cakes, Dr Oca officially named the ship after his father, AMOSUP founder and former president Capt Gregorio Oca, whose leadership gave a legacy of maritime education and training that is on a par with the world’s best. Ma Socorro Oca, Capt Oca’s daughter, led the ceremonial cutting of the launching cord which tied above the ship bow. 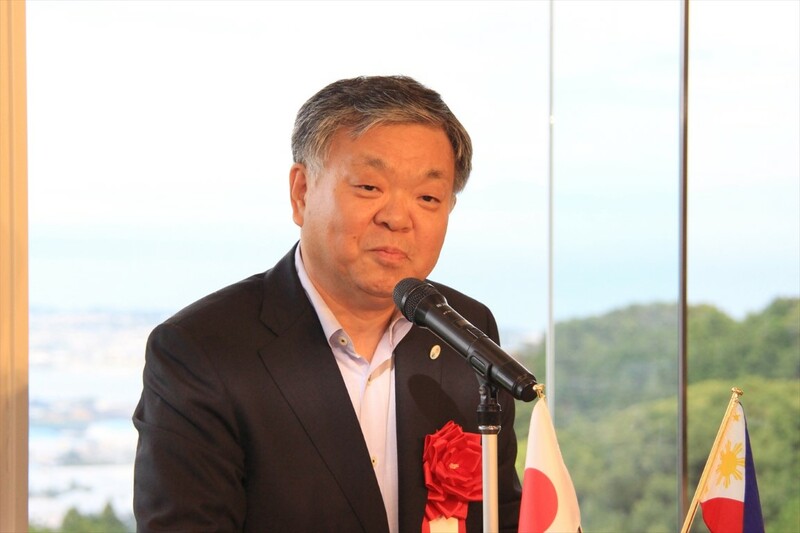 A reception dinner in Nippodaira Hotel at Shizuoka follows the ceremonies where IMMAJ president Capt Akamine, AMOSUP’s Dr Oca, Mr Kobatake of Tsuneishi Shipbuilding, JSU president Yasumi Morita, and PJMCC’s Capt Ted Quijano delivered their congratulatory remarks.